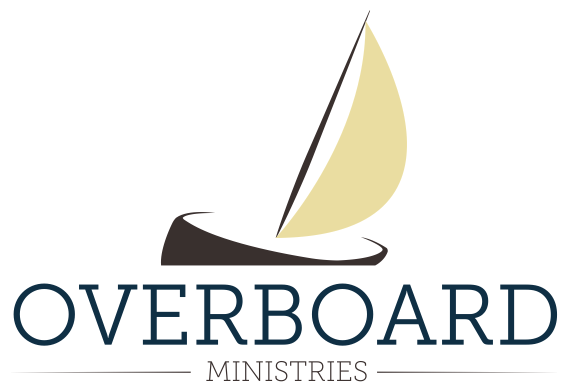 When Overboard Ministries began in 2011, I had no idea what God had in store for this concept. What started as an idea for publishing my first book, has now turned into something else. This blog has has extended its audience far and wide, speaking opportunities have popped in unexpected places and our small publishing company has produced 9 titles by 7 different authors. On top of that, there seems to be a growing interest in the idea of living “Overboard.” Taken from the story of two men walking on water in Matthew 14, Overboard Ministries aims to help people live their God-designed lives out of the comfort of the boat, and out on the water where Jesus is building His Kingdom. This growing interest in the Overboard Life has led to the release of our tenth title, “Overboard” — the book that will define the Overboard Life. It is my personal hope and prayer that this book will create a movement of people who are passionate about living the abundant, joyful and exciting life of faith. “Overboard” will be released in April of 2015. Along with the book we will be releasing a free study guide for those who wish to use the book in a small group study, with their youth group or as a tool to challenge any number of people to live Overboard with Jesus. The basic content for the book flows directly out of the 40 blogs I wrote, leading up to my 40th birthday (click here to read the first one). The Overboard Life is the greatest life any of us can live. It is never easy, alway adventurous and can only be lived in community with others. Sing up here to be the first to get your hands on “Overboard” and lead a movement of faith!